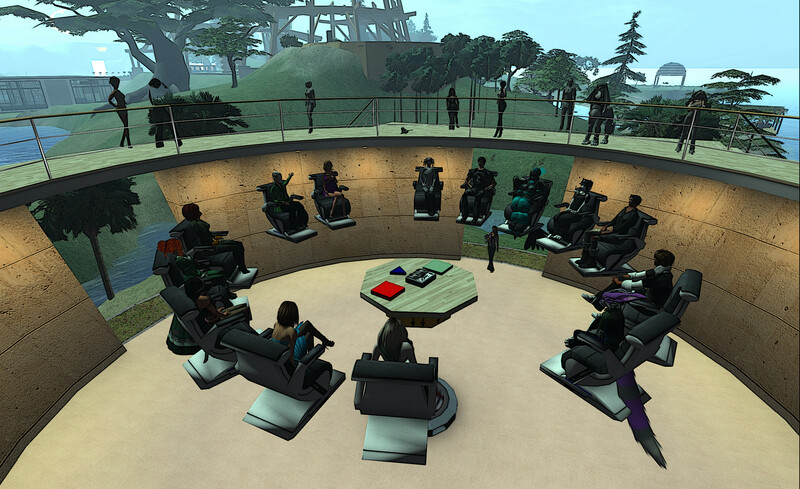 A TPV developer meeting took place on Friday May 9th. The core items discussed in the meeting are reported below, with timestamps in the relevant paragraphs indicating the point at they are discussed in the video embedded here. My thanks as always to North for the latter. [00:35] As noted in part one of this week’s updates report, the de facto viewer was updated on Tuesday May 5th with the promotion of the Interest List viewer (version 3.7.7.289461). The viewer contains what’s being referred to as a number of “non-trivial” merges, as the team responsible for the viewer took the opportunity to clean-up “a lot of old and unpleasant code”, and this “touched on a lot of things”. As such, it may be a while before this code filters into all TPVs. [01:27] On Thursday May 8th, the SL Share-2 RC updated to version 3.7.8.289775 (download and release notes). This viewer includes the ability to upload Tweets and snapshots to Twitter and / or snapshots to Flickr, and to use pre-set filters on images being uploaded to either service and / or to Facebook, and to create your own filters. The remaining viewers in the release channel (Sunshine / AIS and the Maintenance viewer) and the Zipper project viewer will be updated in week 20. [02:11] There are two or three other viewers which are expected to be appearing in the near future. One of these contains a number of Snowstorm contributions (such as STORM-1831, currently awaiting two minor bug fixes), Baker Linden’s group ban work should be generating a viewer soon (see below for more), and there is a viewer which contains a series of memory leak fixes which is currently in QA. [03:40] Baker reports he has two “major” bugs and three or four “minor” bugs still to deal with; however, it doesn’t appear is if these are going to stop the viewer arriving as a project viewer. As noted in part two of this week’s report, the repository for the code has already been made public, and TPVs have been invited to pull code from the repository if they’re in a position to do so (the group ban viewer is built to LL’s 3.7.8 code base). Obviously, and again as noted in part two of this report, the code will not be usable on the main grid until such time as the server-side changes have been deployed, and this isn’t likely to happen for a couple of weeks or so, so don’t expect it to be appearing in release versions of any viewers for a while. The server-side code is available on a channel on Aditi (DRTSIM-234 14.05.05.289712 – which includes the Morris region where the Server Beta meeting is held and now includes the BUG-5929 fix), and there may be a grid-wide Aditi deployment of the server-side code. If this is the case, it will likely be confirmed via a Server Beta group meeting. One aspect that has not been looked into as yet is ensuring that when someone is ejected / banned from a group, they are also ejected from group chat. Currently, due to the way the back-end services operate, if someone has the group chat window open when they are ejected from a group, they can continue to chat / spam into the group chat up until the point where they close the window. Commenting on this, and given that Simon Linden has been working on the chat service, Baker has indicated that he’ll look into things with Simon and see if this problem cannot be resolved. [12:18] In November 2013, Leap Motion approached Linden Lab about integrating their gesture controller into the view. Due to the amount of work the Lab had on its plate, the work was handed-off to TPV, with members of the Firestorm team working with Leap Motion to get things integrated. Since that time, the work has been subject to a number of hiccups – including the need for Leap Motion to update their software. As it stands, the work is slightly stalled as the Firestorm team no longer have the resources needed for the work, so a call has gone out to TPV developers who are willing to take a lead in bringing this work to fruition. [26:14] Monty Linden is continuing his work in cleaning-up the third-party libraries used within the viewer build process. This work has been focused of late on Webkit, which is used for a number of tasks, such as powering the built-in web browser and to display profiles, and is used with Media on a Prim (MOAP) and many in-world televisions. However, Monty has more recently been working on the COLLADA DOM library as a means of “taking a break” from Webkit. He describes this as the “last big one” on his list. Despite still having to finish-up with Webkit, Monty is already in a position of being able to use a windows version of the viewer which makes use of his updated and cleaned-up libraries, although he emphasises the work is not ready to enter prime-time use as yet. Boost is another library which has caused problems, being compiled in several different versions and configurations through the viewer build process, and Monty has been working to clean-up this situation as well. [29:29] In connection with this, Oz stated he’s been finishing-up work on a version of the viewer autobuild process that checks for package contention, and this will be coming out shortly for LL viewer builds, but will take time to fully implement, as it is seen as requiring a significant effort to move to it (the estimate is around a couple of months), but which should see significant improvements in the viewer build process. [30:58] The Lab is not currently progressing work on 64-bit libraries for the viewer. While this is on their “to-do” list, there is a desire to update the tools, etc., used in coding and developing the viewer to the latest versions first. 64-bit is therefore unlikely to happen until after this has been done. [33:55] The Lab is continuing to work on Mac / Cocoa issues, and Oz reports that they now have “someone” working on them, and progress is being made of “lots of time”. However, the ALT-camera issue (see FIRE-12241 (MAINT-3171) continues to defy resolution, although it has been identified that the mouse updates are apparently coming into the viewer “strangely”, which appears to be the source of the problem. Efforts are now being put into understanding why this should be the case. [21:00] Oz Linden routinely produces a series of statistics reports for viewers connecting to Second Life. These have been awaiting update and improvement, and are now getting the technical support they need in order for this to happen. It’s hoped that the new reports, which will have more detail, will be available for TPVs some time in the next month(ish). Those platforms which are now regarded as unsupported (such as Windows XP) will also be filtered out of the crash statistics reports. [22:15] It’s believed that the recent Google Breakpad improvements mean that the percentage of crashes the Lab is now getting report on has increased dramatically. During testing, the number of reported crashes went from 10% to 90% for Mac, and from around 20% to around 80%. So the Lab is getting a lot more data on crashes, particularly those which occur during the log-out process which were previously going unreported, as the log-out process was largely outside of the crash monitoring process. The benefit of this work is that most of the log-out crashes have been linked to memory issues, which has in turn lead to the forthcoming memory leak fixes viewer mentioned towards the top of this report. As a result of the improvements seen, the Lab may go back and revisit the Breakpad work further, but this has yet to be decided. Flickr have announced that their API (which is used to upload snapshots from the viewer to Flickr) will be going SSL-only from June 27th. The change required to ensure snapshots from a viewer are not blocked looks fairly trivial (switching to use a secure https URL). However, it may mean that viewers will need to update their Flickr upload code between now and the 27th June. It’s not clear whether the SL Share 2 viewer will also need an update, this may already use the secure connection option, which has been available from Flickr since about the end of February. Some TPVs may also opt to adopt the SL Share 2 code and remove the Flickr upload option from the snapshot floater.